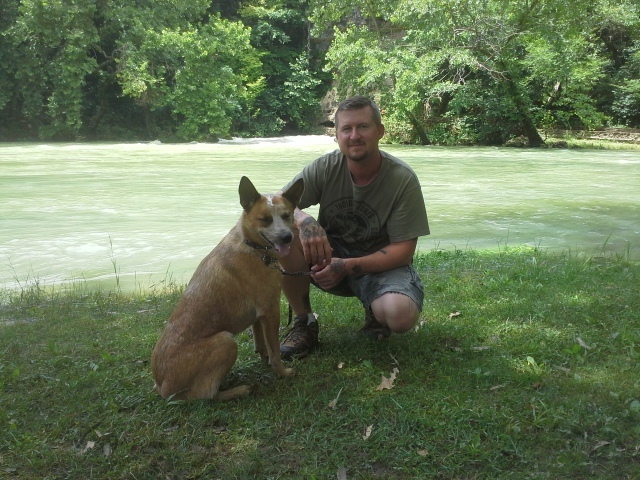 This past July 4th weekend, we were camping at Round Spring, in the Ozark National Scenic Riverways. It was a great trip, and as there is a lot to see right around that beautiful area, it was on my list to go visit something south east of where we were that was really impressive, in just the relative power and force involved. There are a lot of springs in Missouri, but only one is considered to be in the top three concerning output, in the entire United States. We HAD to take a trip down to Van Buren, MO to visit Big Spring. Take 19 south for about 12 miles to Winona, MO. From there, head east (left) on Highway 60 for about 21 miles to Van Buren, MO. Once in Van Buren, and before you cross the bridge over the Current River, make a right on 103. 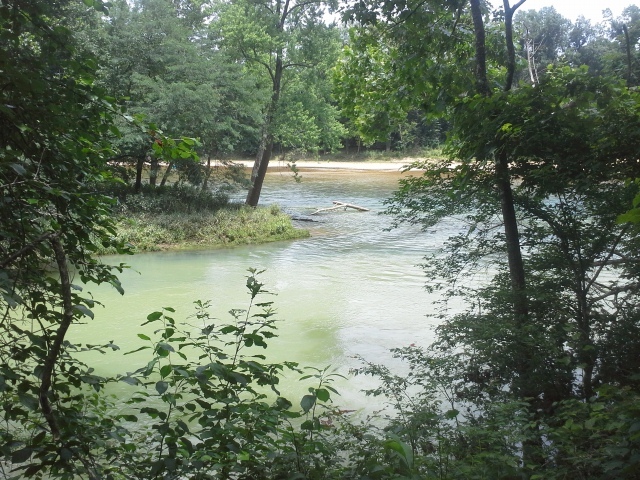 Another 4 miles on 103, and you will find yourself entering the Big Spring area. To get there directly from the St. Louis area, you can take a number of routes, but for a scenic and adventurous drive, head south on 21 for around 120 miles, through Desoto, Potosi, Lesterville, Ellington, and all points in between to Highway 60. Head west (right) on 60 for about 10 miles, cross the Current River bridge in Van Buren, MO and make a left onto 103. Four miles on 103 puts you in the Big Spring area. 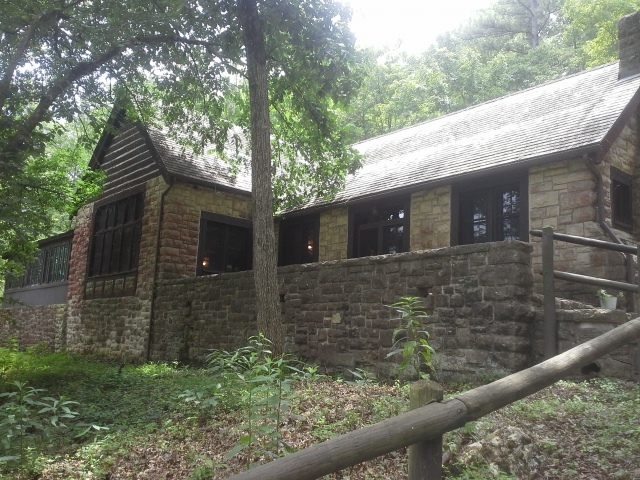 The park area was established by the Civilian Conservation Corp back in the 1930s, and many of the original structures are still there and operational today, including the Big Spring Lodge, which sits on the hillside next to the confluence of the spring branch and the Current River. An army of young men taking natural materials from the surrounding area, developed this recreational destination that to this day 80 years later, is still enjoyed and cherished by so many lovers of the outdoors. 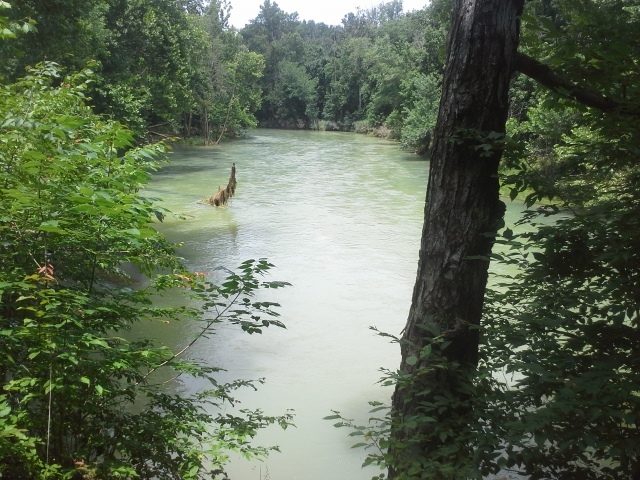 With the campground and cabins, you can spend your entire trip in this area, learning the local history, exploring the nearby hills, and spending your afternoons playing in and on the Current River. 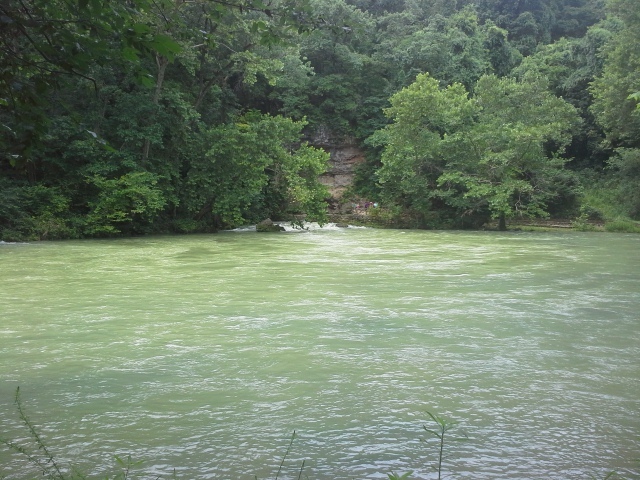 Big Spring itself, and the surrounding 17 acres of forest, are a designated Missouri Natural Area, and are truly a sight to preserve and protect for future generations. I’m sure that people take their canoes out on this part of the Current River, but it seemed that this section is more appropriately sized for those with bigger watercraft. 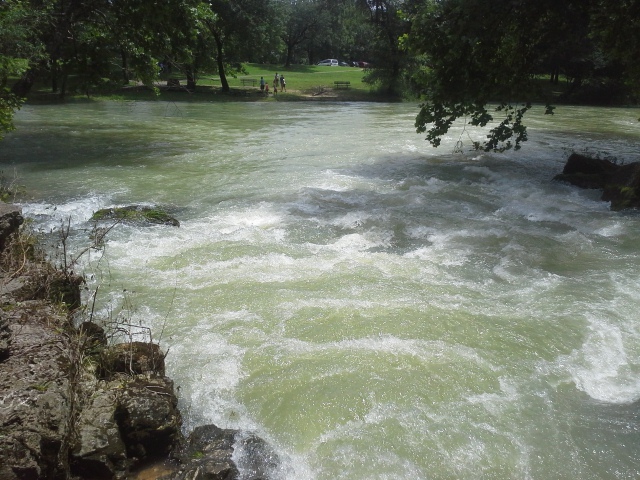 If you are looking for the typical ONSR float trip excursion, without a motor, this might not be the park for you. As this is quite a significant natural attraction, it gets more traffic than some other scenic destinations. Take care to be considerate to everyone visiting, and give the people around you an ample amount of time to take their pictures and soak in the energy of this powerful place. As always with springs, because of their temperature and mineral content, they tend to be home to plants and animals that do not exist beyond their boundaries. 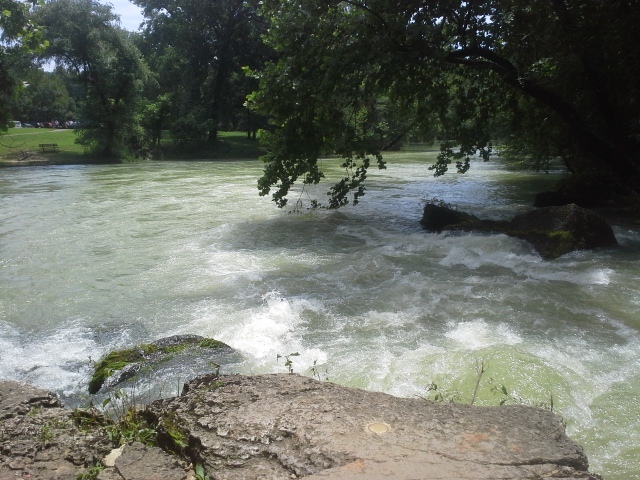 Avoid the urge to enter the freezing water of the spring and its branch to the river. Respect the natural beauty, and do your best to not disrupt the balance that lives within it. I had never seen such a powerful exiting of water from under the surface of the earth, and I could have spent all day sitting on a rock at the edge of the spring. It has a hypnotic and soothing effect, and if you are listening closely, it plays a natural symphony that spoke very deeply to something within me. The power of this place will stay in my mind for some time, and you should give yourself the chance to experience it as well. 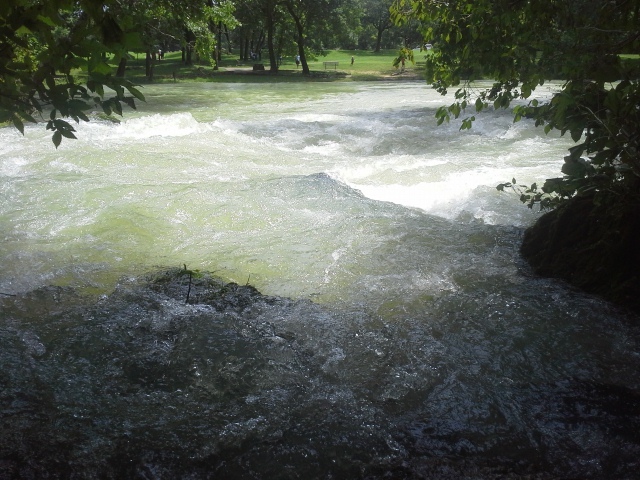 So much water, a river in fact, triumphantly springing from the ground. A force to be respected and appreciated. Glad to see your still exploring, I have been out of the loop for awhile! Great post. Hope all is well. I sure am, every chance I get. Was just thinking about you, in something I am almost finished with. I’m sorry we never got to do that hike, but work would have made it difficult. Hope you are doing well too. « Deep Woods: Why I hike.